The Wichita Force is a professional indoor football team that plays at INTRUST Bank Arena in downtown Wichita, KS. 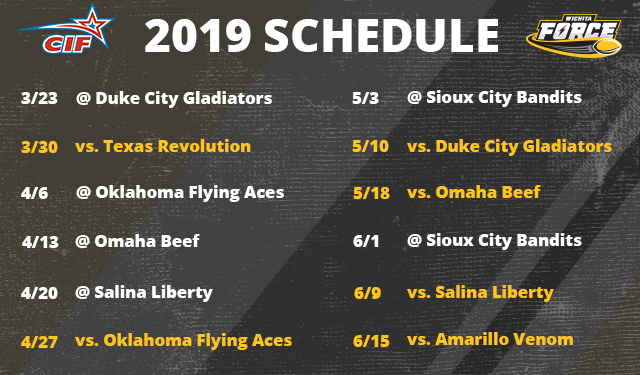 Entering their fourth season of play, the Force remain the hardest hitting, highest scoring, and most exciting sporting experience that Wichita has to offer. 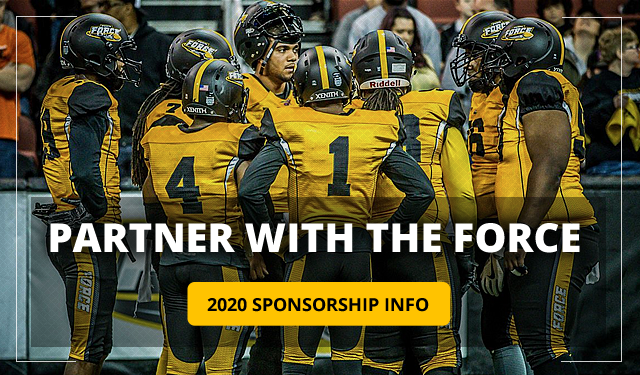 As an original member of the Champions Indoor Football League, the Force is committed to a high level of play and has maintained a winning record every season while winning the CIF Championship in 2016. 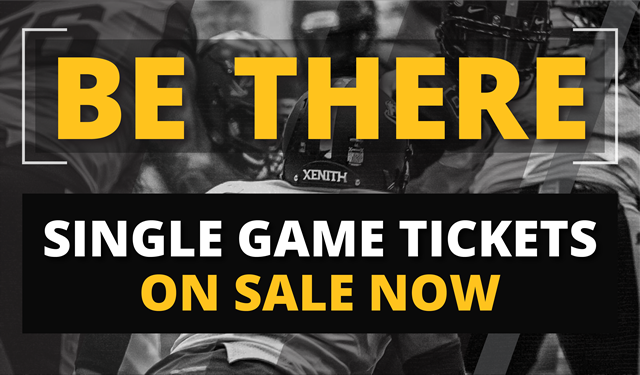 Season tickets, group experiences, and premium seating are available by calling (316) 425-1965. Saturday, April 27 | 7:05 p.m.
Friday, May 3 | 7:05 p.m.
Friday, May 10 | 7:25 p.m.
Saturday, May 18 | 7:05 p.m.
Saturday, June 1 | 7:05 p.m.
Sunday, June 9 | 4:05 p.m.
Saturday, June 15 | 7:05 p.m.
Sign up to receive emails about upcoming promotions and Wichita Force games.